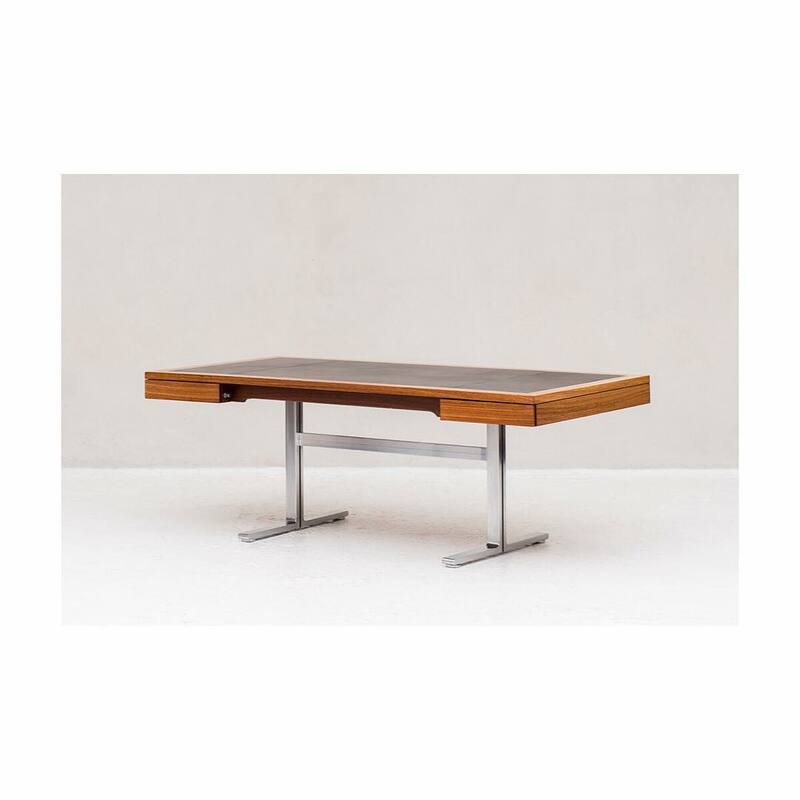 Large executive desk designed by Walter Knoll for the Art Collection series, Germany 1970. Desk in teak with a leather protective cover on the table top and 2 deep drawers. The whole floats on a T-shaped frame in chrome.